Once you no longer see the black Google Toolbar, you'll know you've been updated. 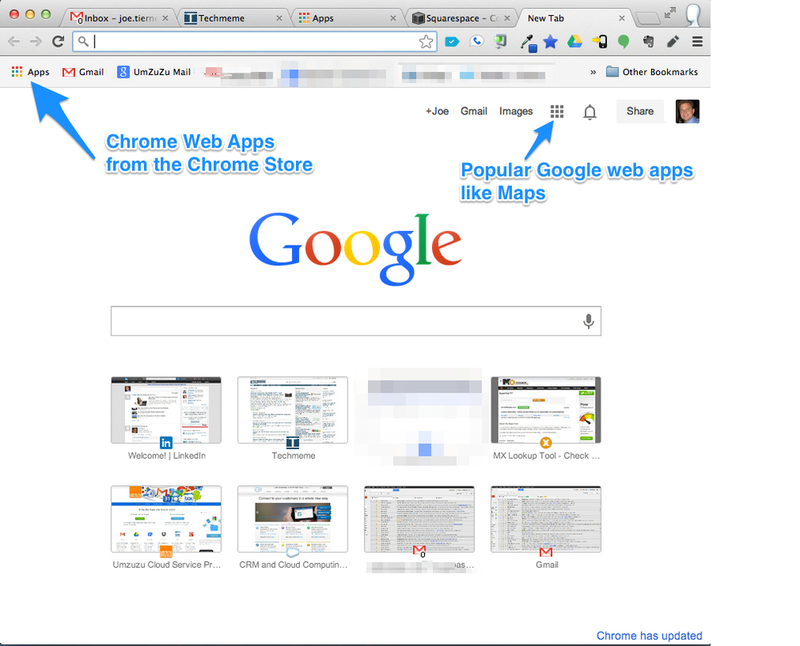 Chrome Apps and Web Apps are now located in the top left and top right, respectively, of your bookmarks bar. Rather than clicking on "More" you can actually just scroll down to see all your other applications. Switching between accounts or Adding Accounts to your browsing session is also a bit different. Rather than clicking on your email address, you'll click on your profile image. What other changes have you noticed with the update?